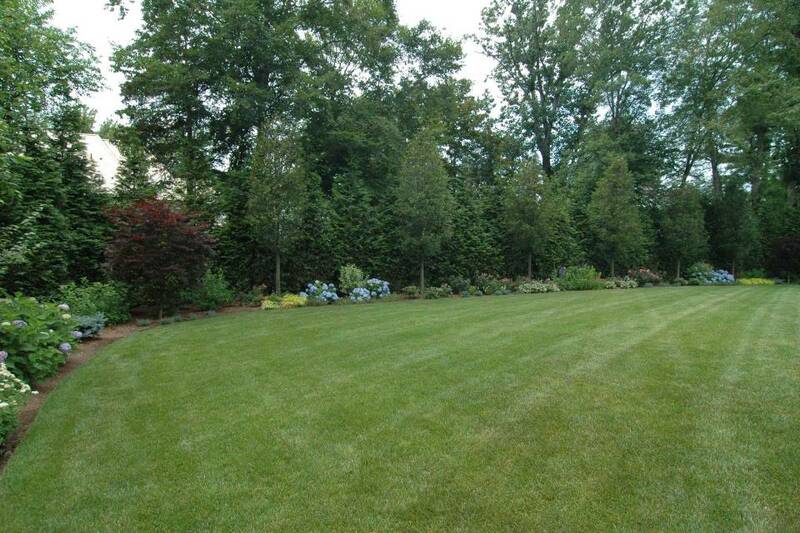 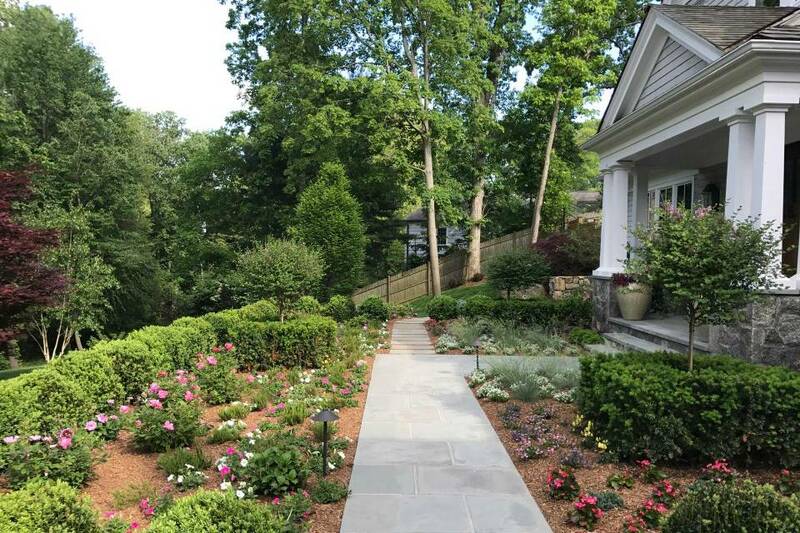 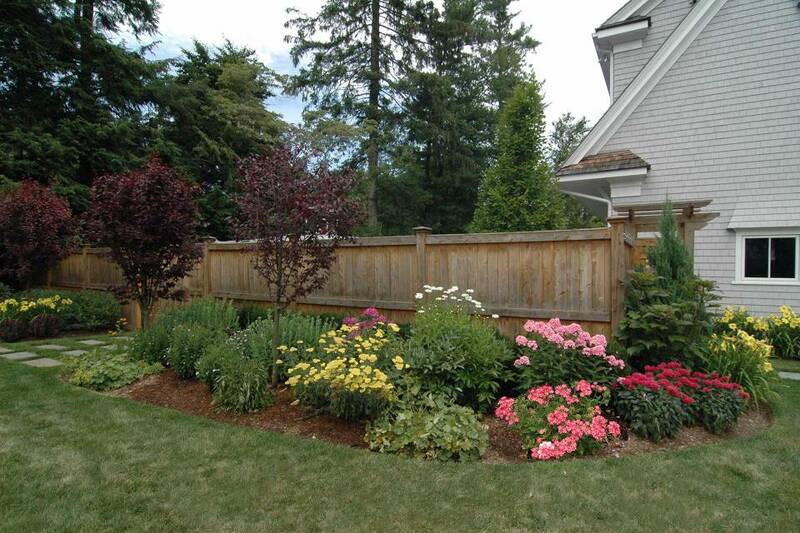 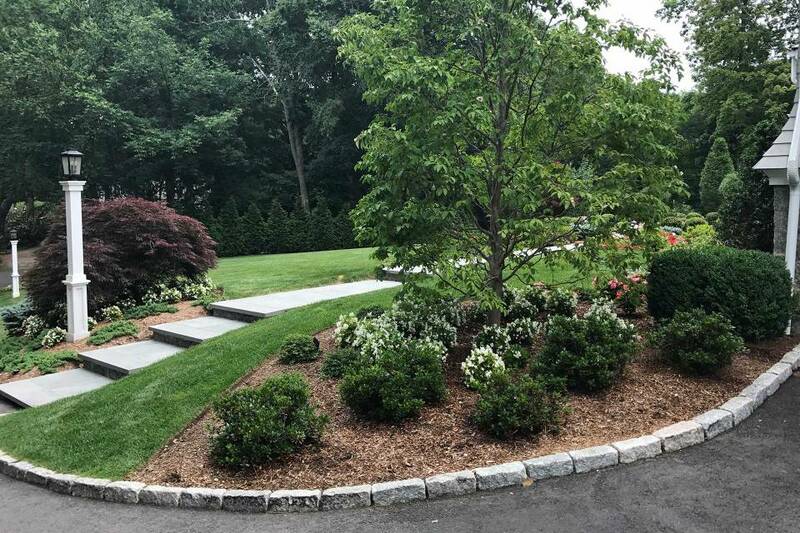 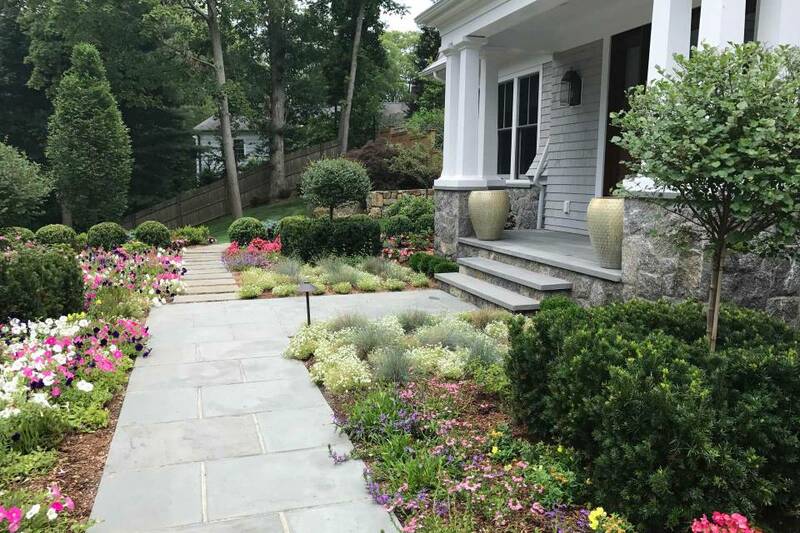 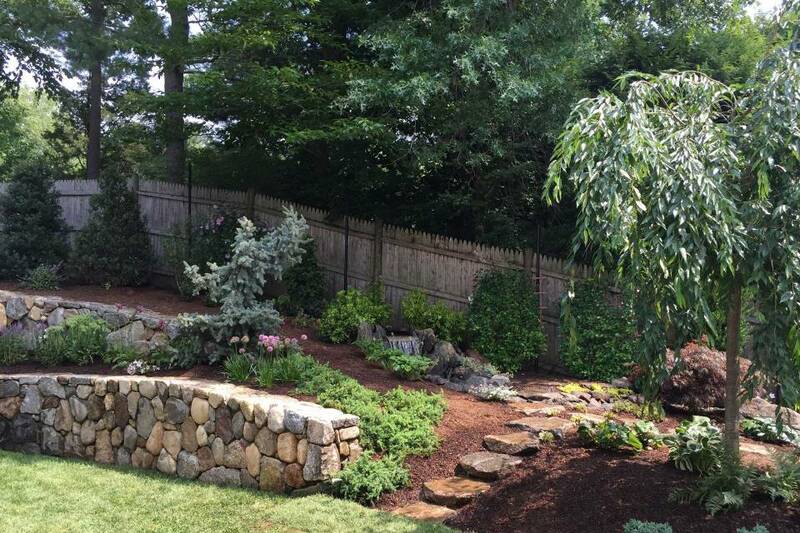 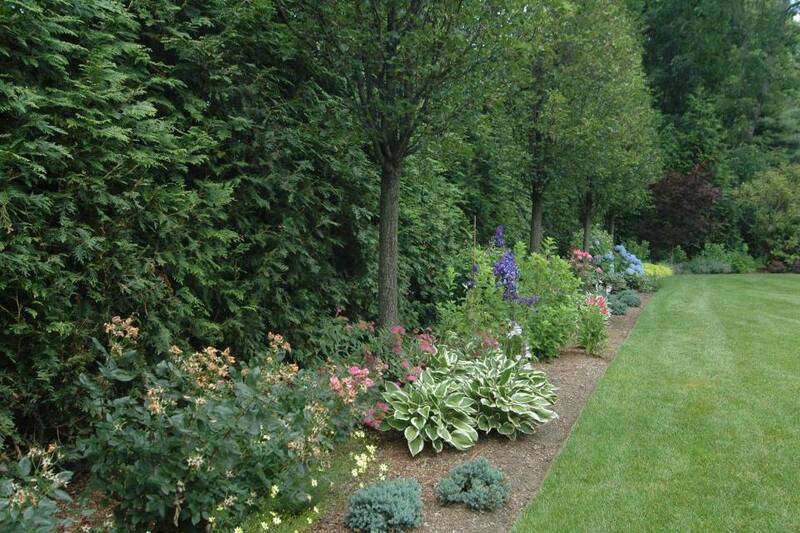 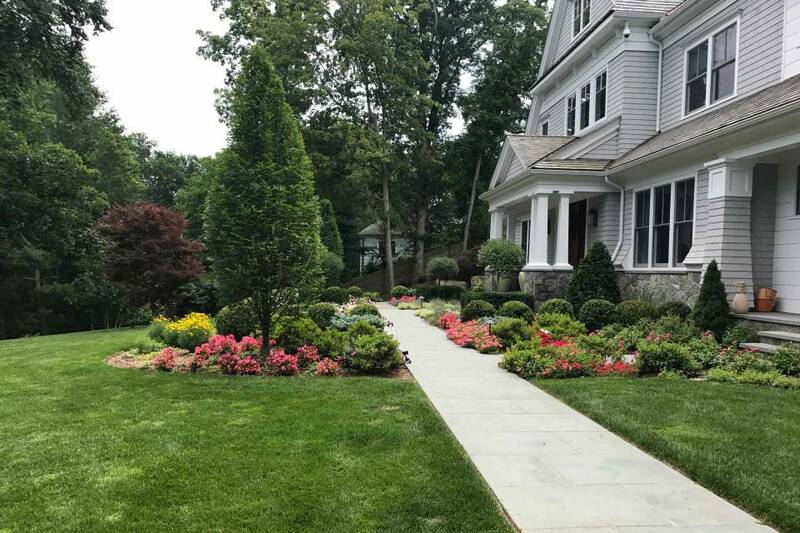 Front formal courtyard plantings and screening border plantings give this residence all season color. 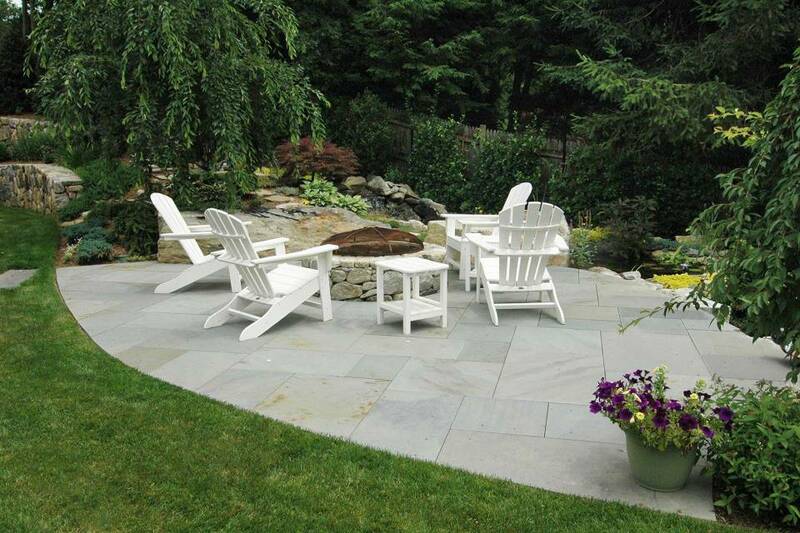 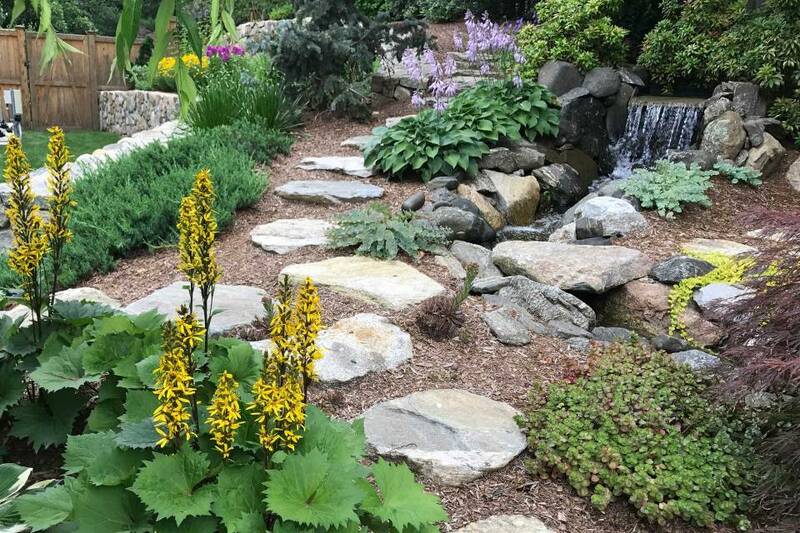 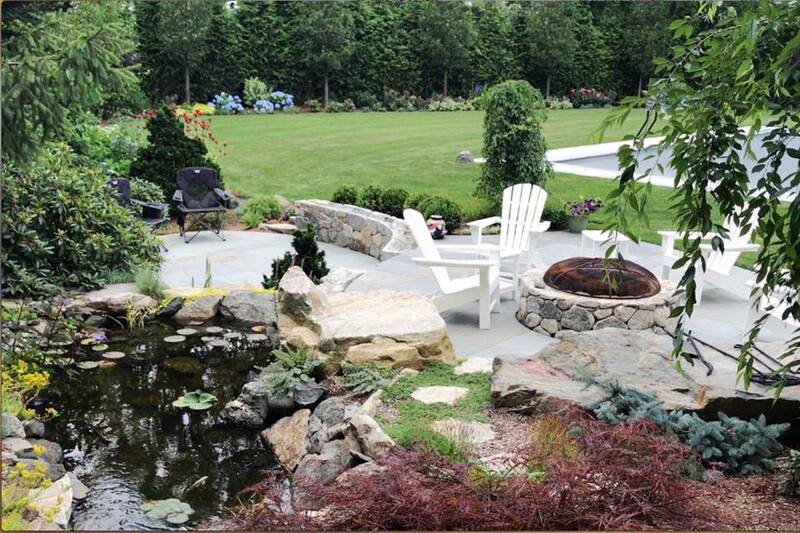 In back, a new stream rushes down a slope into a pond alongside a fire pit patio. 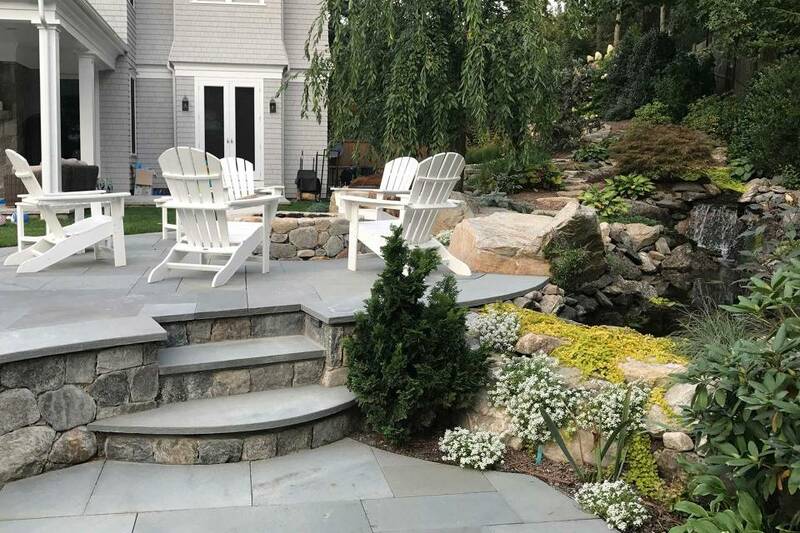 Steps lead down to a lower patio below the pond.